Bring a little glamour and elegance to dinnertime. 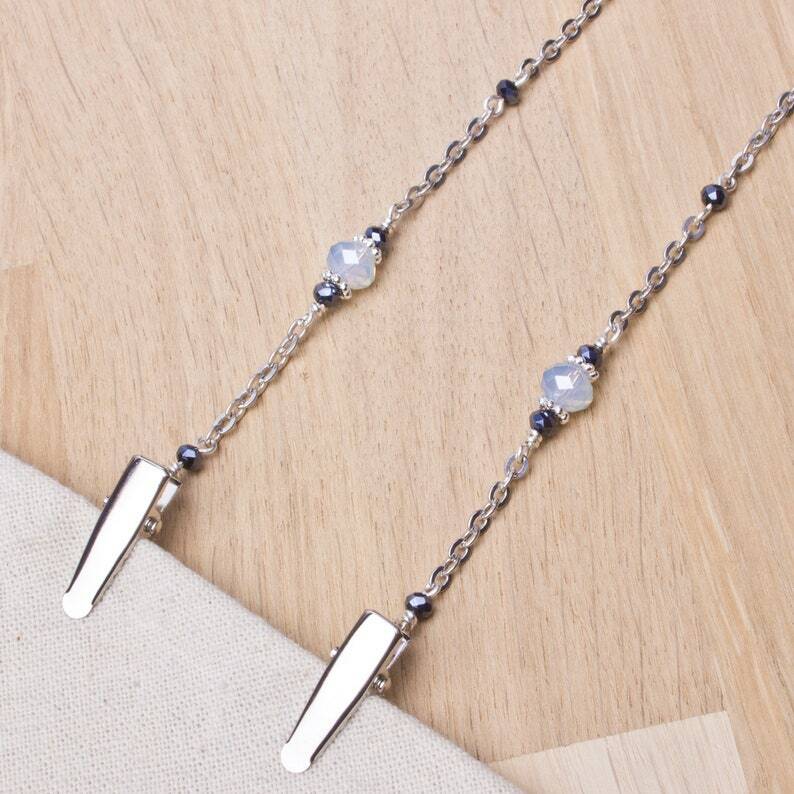 A silver tone oval link napkin chain with a beautiful combination of opalite and grey faceted glass rondelle beads and Tibetan silver accents. The chain sits around your neck and napkin clips hold your napkin in place to keep you clean in style. Approximately 20 inches long (can be shortened on request).